Earlier today we asked you to come up with something really really strange for our illustrator extraordinaire Sam Spratt to draw. 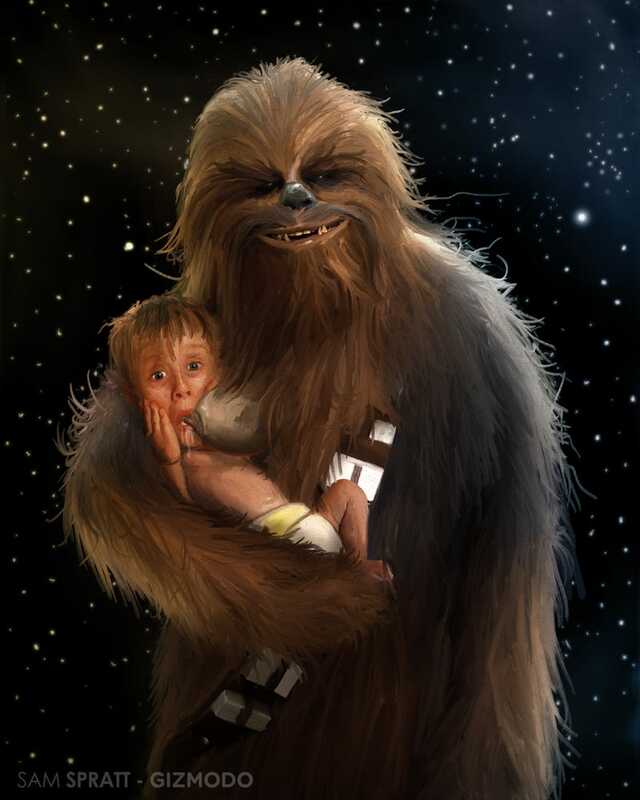 Well, here it is: "Chewbacca breast-feeding Macaulay Culkin... in Space." A masterpiece.